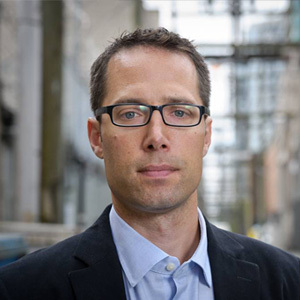 Evan Wood, MD, PhD, ABIM, FASAM, FRCPC, ABAM Diplomat, is the Director of the British Columbia Centre on Substance Use based at St. Paul’s Hospital in Vancouver. He is also a professor of medicine at the University of British Columbia, where he helps lead the university’s efforts in the area of addiction prevention and treatment through a Tier 1 Canada Research Chair. Dr. Wood is a general internal medicine specialist and diplomate of the American Board of Addiction Medicine whose clinical, research and educational focus has been on improving systems of care for patients with alcohol and drug addiction. He has been the Physician Program Director for Addiction Services at Providence Health Care, Medical Director for Addiction Services at Vancouver Coastal Health and Founding Director of the St. Paul’s Hospital Goldcorp Fellowship in Addiction Medicine, Western Canada’s only American Board of Addiction Medicine accredited training program for addiction medicine physicians. He was also the founding Director of the Canada Addiction Medicine Research Fellowship, a US National Institute on Drug Abuse funded research-training program for physicians with a background in addiction medicine based out of UBC and St. Paul’s. Early in his career, Dr. Wood focused on the development of HIV treatment strategies for patients with addiction. He made several important discoveries that contributed to the revision of international guidelines for the initiation of antiretroviral therapy among this population. He has taken a special interest in HIV treatment and prevention strategies for intravenous drug users, and was the lead author of the first study to show that HIV treatment could prevent the transmission of HIV infection among those who inject drugs. Dr. Wood was the founding principal investigator of Insite, North America’s first and only medically supervised safer injecting facility. He has been widely involved in evaluating illicit drug policies, with special emphasis on injection drug use and street-involved youth, and is an Advisor to the Global Commission on Drug Policy. He was also the founder of the International Centre for Science in Drug Policy and has co-authored more than 400 scientific papers and chaired the writing committee of the Vienna Declaration, the official declaration of the 2010 International AIDS Conference. Dr. Wood is the Principal Investigator for the BC Node of the Canadian Research Initiative on Substance Misuse (CRISM) a Canadian Institutes of Health Research funded national addiction research network. Dr. Wood has received a number of national and international recognitions for his work. He was selected for the Canadian Institutes of Health Research’s Peter Lougheed Award as the nation’s top New Investigator applicant in 2003. In 2006, he received the Ron Ghitter Award in Human Rights. He was the recipient of a leadership award from the Canadian Medical Association in 2007, and in 2010 received a Physician of the Year award from the British Medical Journal for his ground-breaking research in the area of drug addiction. As Director of the BCCSU, Dr. Wood’s currently focuses on best practices for substance use care across the continuum of substance use. Dr. Wood has provided expert advice to the BC Supreme Court and the Supreme Court of Canada. He has consulted for the World Health Organization, and regularly serves on the US National Institutes of Health peer review committees. He is a former Associate Editor of the International Journal of Drug Policy and editorial board member of a host of addiction and infectious disease journals. Dr. Wood has been widely quoted in Canadian and international media, with over 500 referenced articles, and has contributed columns to leading news sources in Canada and abroad, including the Toronto Star, the Globe and Mail, the National Post, the Vancouver Sun, the LA Times and CNN.com. He is actively engaged with all levels of government as well as with family groups, persons in recovery and peer groups representing persons who use drugs, working to chart a new course for society’s response to substance use.